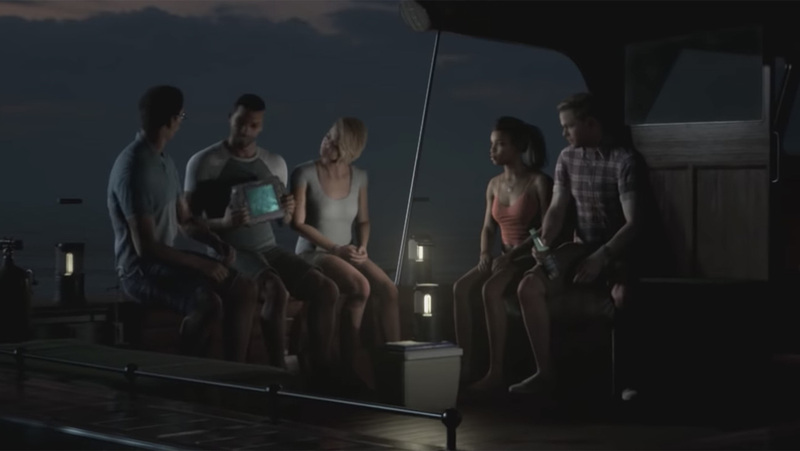 Supermassive Games’ next narrative adventure, The Dark Pictures Anthology: Man of Medan will horrify its players sometime this summer. Originally, it only had a tentative 2019 release window. A developer diary was released by the British developer and publisher Bandai Namco, and it unveiled the summer release window at the end of the video. But before it gave that all important release information, the trailer below had the animators explain how they tackled the water physics and audio for this high seas adventure. You can learn more about The Dark Pictures: Man of Medan below. During underwater scenes, Supermassive used volumetric lights and mist to create the light rays travelling throughout the water. Craig said it was “quite a difficult effect to achieve.” The developer diary also dove deep into how Supermassive Games created some of the audio for the game. The Dark Pictures Anthology is a series of games that aren’t connected to each other and will take inspiration from multiple genres of horror. This spiritually carries on the cinematic and horror tones of Supermassive Games’ PS4 exclusive hit Until Dawn. The Dark Pictures: Man of Medan is the first entry, in which four Americans and a skipper named Fliss find themselves stuck on a ghost ship in the South Pacific after a storm crashes into their dive boat. This tale has multiple branching paths; they’ll have to find a way to escape, if they don’t want to end up like the skeletons on board. The Dark Pictures: Man of Medan will be coming to PS4, Xbox One, and PC.